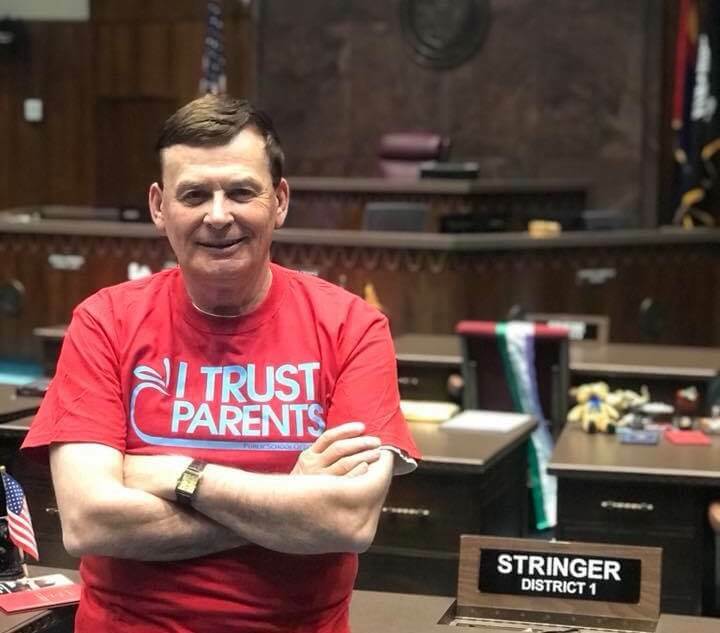 Incoming Arizona House Speaker Rusty Bowers dissolved the new House Recidivism and Sentencing Reform Committee after removing Rep. David Stringer as its chairman due to racist comments that recently came to light. Bowers announced Tuesday that the House Judiciary Committee, which is chaired by Rep. John Allen, R-Phoenix, will handle criminal justice reform issues next session. Justice reform advocates are looking to have a robust agenda in the upcoming session, including legislation on sentencing reform and loosening Arizona’s strict marijuana possession laws, among other potential issues. Bowers, R-Mesa, also removed Stringer as vice chairman of the Judiciary Committee, and removed him from the Education Committee. Stringer, R-Prescott, now has only one committee assignment, the Government Committee. Freshman Rep. Walter Blackman, R-Snowflake, will replace Stringer as vice chairman of the Judiciary Committee, while freshman Rep. Leo Biasiucci, R-Lake Havasu City, will take his place on the Education Committee. This is the second time that a committee tasked with criminal justice reform that was chaired by Stringer was dissolved over racist comments by the lawmaker. Outgoing House Speaker J.D. Mesnard scrapped the House’s Ad Hoc Committee on Criminal Justice Reform in June over comments that Stringer made to the Yavapai County Republican Men’s Forum in which he said immigration poses an “existential threat” to the United States and that there “aren’t enough white kids to go around” in Arizona’s public schools. Bowers’ announcement came just hours after the Prescott City Council voted 6-1 for a resolution urging Stringer to resign from the Legislature. Gov. Doug Ducey, Arizona Republican Party Chairman Jonathan Lines and Yavapai County Sheila Polk, among others, have also called for him to step down. The latest controversy erupted after the Phoenix New Times revealed audio recordings in which Stringer told Arizona State University students that African-Americans and other non-whites “don’t blend in” and that non-English speakers are a “burden” on public schools.